Typo on the title of track 3 which was spelled Fequency on the release. 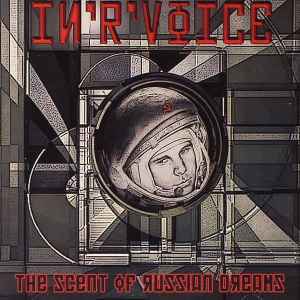 In R Voice (Denis Kozlov) is a psytrance artist from Russia. Here he is out with his second album, bringing us into a quite rough, techno influenced soundscape. His first album (Resonance Metaphizix) was released on Optica Records in 2002. He is also known for a chilled ambient project where he calls himself Den Kozlov, which resulted in a double album (Digital Shamanism) last year. I wasn’t too impressed with the chilled projects by this guy, but this album really got my attention. We are far away from the usual full on stuff most psytrance labels releases these days. Here we get mostly very drifting techno influenced trance. Quite minimal all the way, but with some very trippy vibes anyway. This might be something for those of you who enjoys the sound of Delta, Spirallianz etc. Not as massive and impressive, but not bad at all. I like the way he has managed to combine some nice atmospheric vibes with really rough soundscapes. For sure something I would be happy to hear at a party in the night. Pretty dark all the way, but still with some light in the dark with those floating parts. This is the kind of night time psytrance I like. My favourite track here is track 8 (Atomic Medicine), which goes about as trippy as it can get. Nice to hear those 303 alike sounds in the background, with spooky floating vibes and an intense rhythm drift. For sure one of the better tech trance tracks I have heard lately. The rest is pretty impressive too, going really deep, just the way I like it.